Enter your email address below to receive a notification when Tremanol starts accepting new sign-ups! Enter your email address below to receive a notification when Tremanol is accepting new sign-ups again. Tremanol is an all-natural formulation designed to help provide relief to the symptoms of Essential Tremor. 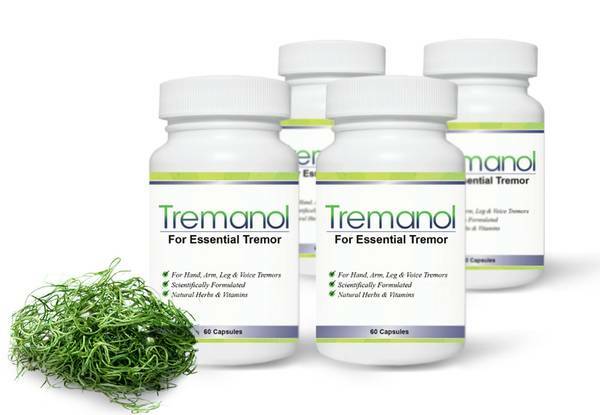 The Tremanol formulation enhances the functioning of the body's nervous system, gives relief to muscle spasms, and improves the circulation of blood. Additional ingredients help calm anxiety related tremors and aid in absorption. ALL NATURAL INGREDIENTS including Vitamin B2, Vitamin B12, Skullcap, Passionflower, Valerian Extract and other ingredients formulated to relieve and soothe Essential Tremor. Tremanol doesn't have any reviews!